Bill started practicing in Internal Medicine and Emergency Medicine in Dallas in 1997. Working in several Emergency Rooms allowed him to refine his skills and enjoyed the diversity of these different communities. This also gave him the opportunity to spend more time with his wife and 5 sons. He began working with Rapid Med in 2007, sharing time with the Emergency Room. He soon fell in love with the practice model and more so the many patients he encountered. 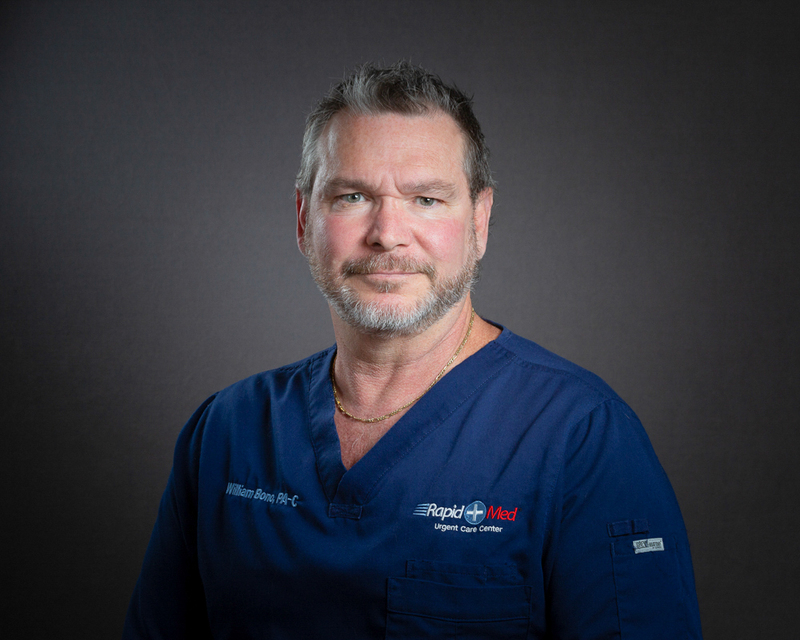 Bill has been a cornerstone of the practice and continues with the same passion as when he started at Rapid Med. Bill has been married for 27 years, has 5 sons and a daughter-in-law. He loves spending time with his family whether sitting at home, on the boat or traveling. His days away from Rapid Med are filled with caring for and riding his horses as his dogs run along beside them.